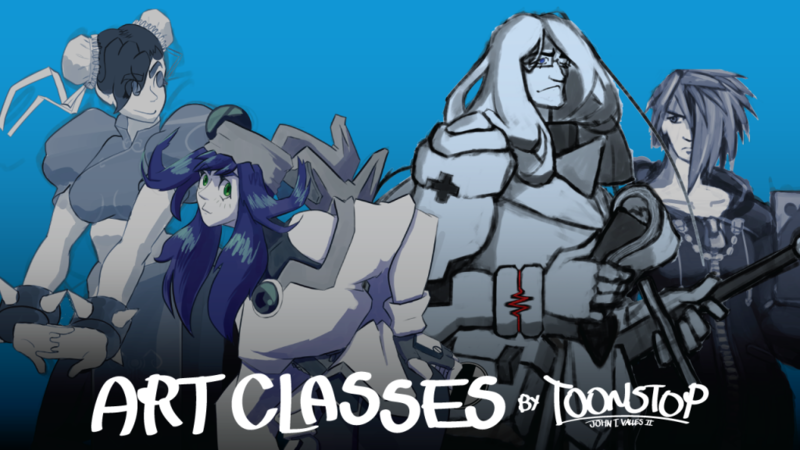 Hi there, and thank you for your interest in art classes with me! My name is John, and I’m a concept artist and character designer. I teach art classes that address the creative needs of students who might want a little deeper of an art education than what may be permitted by the tight constraints of art education in most public and private schools. My mission with my classes is to provide education that enables students to bring their artistic vision from their minds to the paper. I teach classes in six week semesters with one week breaks in between to process new students if any. Classes are currently $10/class per student. If you are registering siblings, cost is $10 for the first child and then $5 for each additional brother or sister. Classes take place at the Grandville Hobby Lobby located at 4525 Canal Ave SW.
Four seats are available at each period. Students should register in order to secure a seat in class. Past that, vacant seats are first-come-first-serve. My calendar is available below to display the hard schedule for the current and next semester, as well as tentative schedule for the year. If you or your student is interested in my program, I invite you to contact me using the form below! Registry and general inquiry about my program are handled through this form.